The promising fact that around 40% web sites around the globe are made in PHP, single-handedly reveals the popularity of this programming language in the world. 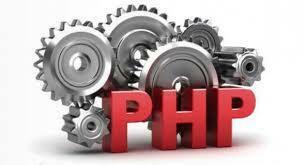 PHP is one of those older languages which have earned their place in the market for their maturity. Our programmers can help you develop any type of project which you want to make and we can add that extra spark and robust features to your website which you have always craved for using this simple yet comprehensive language. To be a part of one of the largest client base and PHP family. Moksha is a software and website development company serving to a large client base worldwide. Incorporated in 2006 in Aurangabad, Moksha has matured into a preferred software and website development partner for major clientele in the country and abroad and has made its presence felt in this cut-throat global market. Our creative and exceptional services exclusively designed to suit diverse clients advocate our fine operations. At Moksha, we offer Web Application Development, Web Design, E-Commerce Web site Development, Dynamic/Static/Custom Web site Development, Web site updates and maintenance, Dot Net, Magento, PHP, Flash, Joomla Design and Development, Search Engine Optimization, Digital Marketing and promotions, SMS services, Word Press, Content Management System, Content Development and technical writing to our clients globally. Our team members have hands on experience on the major state-of-the-art development applications. Our proficient and skilled team has proven industry experience and uses cutting-edge techniques to provide innovative solutions in time. We are pioneers in IT development services and have ample experience of providing end-to-end solutions to our clients with proven records. Right from domain registration to development to promotions to maintenance we never leave our clients midway. Our USP is our dedicated tune-up facilities. We ascertain your requirements and provide you hassle free and an experience of an eon. Moksha Sanskrit Moksha is a sanskrit word which refers to a Liberation / Freedom from all suffering. We strive to relieve our clients’ the suffering by providing them with perfect "Solutions" that best suit their individual and business concerns. Our motto is to reveal the underlying, pure spirit of each of our web sites to accentuate their visibility on the internet so as to generate the maximum business for our clients. We aim to provide a well programmed and easy to use website which allows our clients to be the manager of the website. The Manager finds it easy to upgrade the website and to reflect changes as they take place. This means the owner of the website is in the driver's seat. It becomes very simple to upload or remove unwanted material from your website whenever you feel so. We aim to make life easy for our clients.